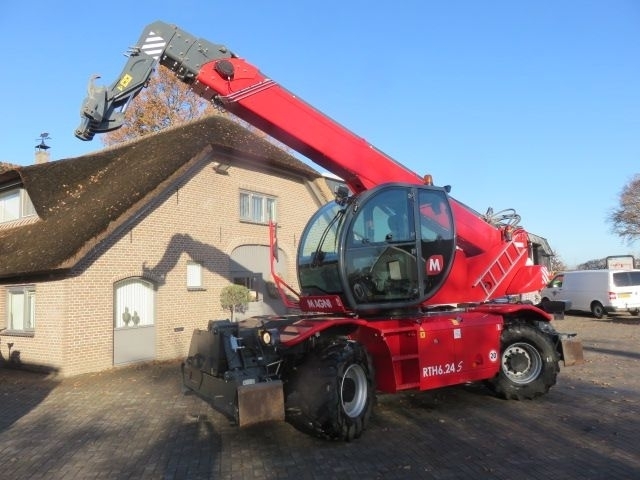 Check the technical data of the unit, picked out from the catalog of MAGNI RTH telescopic handler. The production year is 2016. Engine/driveline: 175 hp, engine: Mercedes. Wheel formula and suspension type: front tires: 445/65R22.5, 70 %, rear tires: 445/65R22.5, 70%. Exterior measurements: length – 7360, width – 2500, height – 3100. The lift height is 24000.